Week 5 was dedicated to the letter E.
Keeping in mind that I want to challenge myself in subject and composition, as much as in weekly production, this week I chose to paint an Eye. Actually, I started out with another subject but half way through I just wasn't feeling it. 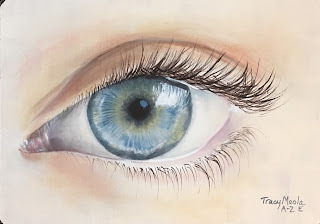 I have always admired the paintings that I see that others artists have done of eyes. 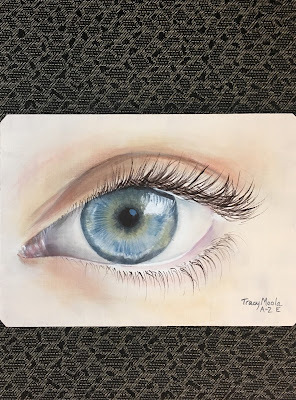 they intrigued me, so after a first failed attempt at another subject, I painted over the board and took on the painting of an Eye. It's amazing how things look when you intently observe them. The eye stops being part of a "whole" face and becomes something of it's own. There's varied color and fibers, lines, speckles and a glossy, wet film, as well as a dark hole in the center (pupil). 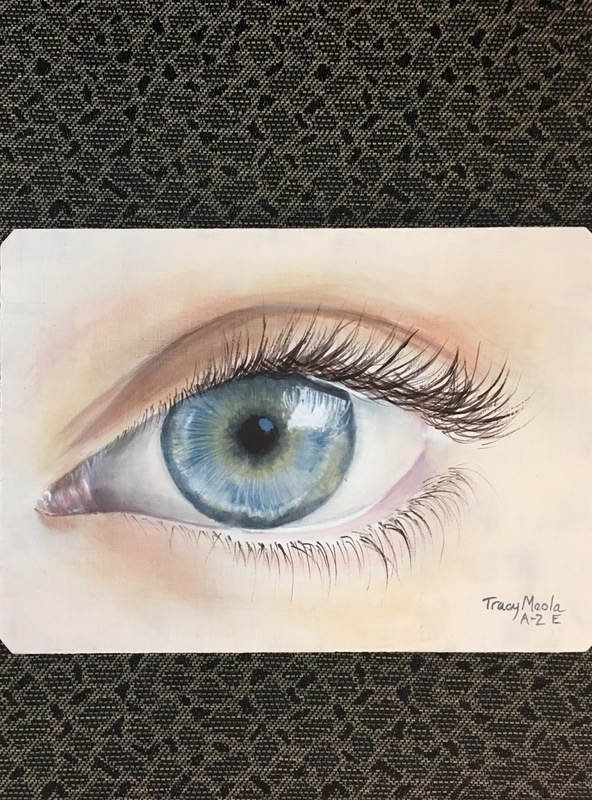 Then there is the outside of the eyeball; the lid, rim, the lashes and surrounding skin. What an interesting study this was. It is intriguing to look at the single eye; you start to wonder what the face looks like that it belongs to. This painting is approximately 5 x 7. Acrylic on art board. See you next week with something that begins with the letter F.